November | 2014 | Srishti smiles away! I was madly waiting for this movie, and God knows how I waited for another 10 days even after it’s release because I was waiting for my exams to get over. But anyway, I finally watched it last night and I’m still in awe, like, what the hell I witnessed yesterday. For those of you who think it’s just another sci-fi space movie, let me tell you, it’s not JUST that. It’s not like Gravity, like what a lot of people presume by trailers. It’s a Christopher Nolan movie and he is The Director of this age. Like his every other movie, Interstellar is based on a complex subject presented onscreen in a phenomenal way, like no other director could have done it. But unlike his any other movie, this movie will take you on a ride through time and space to another galaxy, into the worlds of high tides and frozen clouds, through a wormhole and into a black hole, from a three dimensional world to a five dimensional one, making you question the depths of the universe like you never did. If you liked Inception and said to yourself after the movie, “Woah! 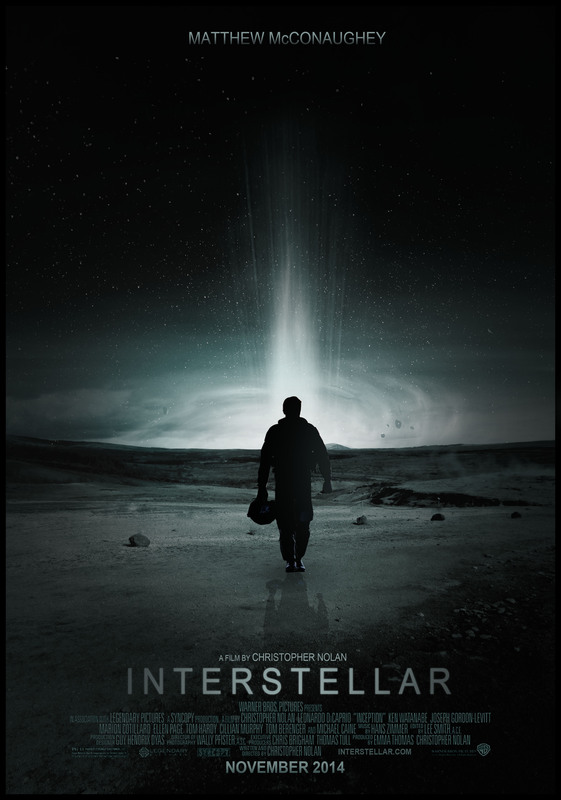 That was mindblowing”, I can assure you that after watching Interstellar you will find yourself speechless, too shaken to the core by the masterpiece you just witnessed to say anything. What’s more is that this movie isn’t just all about science and space, it has every other aspect of a perfect movie balanced together with a great finesse. When was the last time you cried in a sci-fi movie? Probably never. But you’ll do in this one. Because this movie starts with a close father-daughter relationship and it ends with it. And throughout the movie you’ll find yourself rooting for Cooper (the protagonist) to find his way back home to his daughter. And the way Matthew played this role is absolutely commendable. He was perfect in every single scene. And so was Anne Hathaway. Stop the hate, haters, because this woman has proved herself yet again. She is just as brilliant in this movie as always and you can all back the eff down while she makes her way to different stages to recieve awards for this movie. Michael Caine, Jessica Chastain, Mackenzie Foy, David Gyasi and Matt Damon were all fantastic in their respective roles. Oh and, how did I forget to mention! The background scores by Hans Zimmer were absolutely spot on. A big credit goes to his music for making the film look more alive. All in all, it was a piece of cinematic excellence. And by what I feel, it has ‘Oscars’ written all over it. You should NOT miss it at any cost. If you watch one movie this season, let this be it. Because movies like these are not made every day. And just a heads up for you, don’t miss out on a single dialoug. Watch it with your full attention and don’t get distracted for a single second. Because you can’t afford to do that in this movie. Now go watch it! P.S. : For those of you who have watched it, I need to ask you one thing. How did Cooper get out from the tesseract and straight back to near Saturn?